Sample handling is an important aspect of any successful trace elemental analysis. On-line procedures for sample preparation and delivery are increasingly becoming methods of choice as the demands for productivity increase. Flow injection atomic spectroscopy (FIAS) is a superb complement to PerkinElmer® atomic absorption (AA), inductively coupled plasma optical emission spectroscopy (ICP-OES) or inductively coupled plasma mass spectrometry (ICP-MS) systems as a means of sample preparation and delivery. A fully integrated and automated system, the FIAS can dramatically increase laboratory productivity and capability. 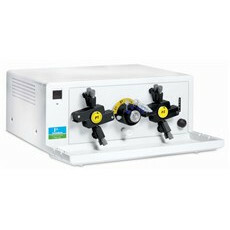 New and used PerkinElmer FIAS 100/400's for sale on LabX. Purchase and get quotes on the products you need for your lab. Choose from a variety of vendors.